When you think about summer camp, visions of swimming, boating, archery, arts and crafts, bugs and dirt, and hiking might immediately come to mind. But the directors and staff of Camp Hawkeye, a sleep-away camp based in New Hampshire, are growing mustaches in an effort to raise money to send children – and one special camper from Brookline – to summer camp. 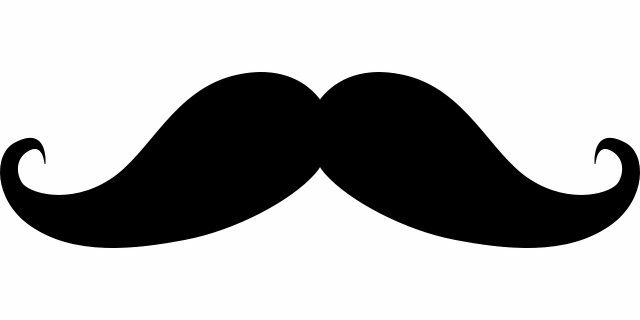 Jessisca Colgan-Snyder co-director of the camp will sport a mustache every day – all day – for the entire month of April in an effort to raise money to send 10-year old Dominic Fricke of Brookline to her New Hampshire camp for two weeks this summer. It takes some passion about the value of summer camp to ask a woman to wear a mustache for four weeks and use it as a way to get people to donate for her cause. And Colgan-Snyder is nothing if not passionate about how her camp can make an impact on someone like Dominic. And how Dominic can help affect the other kids at camp if he’s able to go. Camp Hawkeye was founded in 2005 to help expose children from around the world to those who were different from them with the idea that when we aren’t intentional about bringing people together we can end up furthering their separation, she said. “We have a very strong diversity-focused mission,” she said. “[And part of that is] our commitment to bringing people from all walks of life and creating organic situations where they can become friends,” she said. And Colgan-Snyder said the operative word at camp is “organic,” as she stressed it is through creating a safe space at camp that the campers get to know each other. “And through activities…traditional to camp and finding out about each other and making friends and being part of a community outside of your home [campers] grow and get a better understanding of the larger world out there,” she said. About seven years ago, her husband, who founded and co-directs the camp with her, and some friends were thinking about ways to raise funds to pay the tuition of campers whose families couldn’t afford Camp Hawkeye. They got the idea to sport mustaches as a competition between them. Five men – and Jessica – committed to it. She could not grow a mustache, but she could paint one on, or apply convincing-looking fake theatrical mustaches. And she stood out. People thought she was practicing for a play, or questioning her gender identity, or maybe even transitioning from male to female. Some people were very mean, she said, but it was a way to help campers go to camp. The camp sees about 200 campers a year, and last summer 67 campers received scholarships. The rest were paying full freight, according to Colgan-Snyder. Last year she raised $3,500 to send a new camper to Hawkeye. This year her goal is $4,000 to cover two weeks’ tuition and a sweatshirt and memory book for Dominic. Dominic, a fourth grader at the Devotion School, has never been to a sleep away camp – in fact, because of a health issue he’s never actually spent the night anywhere without his mom. It has been a rough year for him, said his mom, Erica Fricke. He witnessed Fricke care for her her ailing mother as she passed away. Between that and other family stresses, she said, she’s been looking for a way for him to have a little break. They’d been thinking about day camps when, one day, Dominic came home and asked about the possibility of an overnight camp. “At first I was like, ‘I’m not so sure about overnight,’” she said. But she warmed up to the idea as Dominic got more excited about the possibility. “I’d be really excited [to go]… I’m looking forward to making new friends.” he told the TAB over the phone recently. “I’ll probably learn more about nature,” he said. That, said his mother who grew up in New Hampshire’s nature, and be pretty happy. But the big question was where would they get the money to send him to camp. The family has one income, two teens that are home-schooled and they just gained custody of a relative’s two children. The family started looking into the camp where her husband went as a boy to see if they offered scholarships and then right about then, her son’s special education teacher suggested Camp Hawkeye. “So that’s how it became a little interesting,” she said. “He said ‘mom I just want to try overnight camp. Let’s just try it for a couple weeks,’” she remembered. Still, like any mother might, she hopes he feels comfortable and makes new friends. “He’s worried about his seizures and what other kids might think about him if he has one in front of them,” she said. But she is reassured by the fact that there are other children with differences there. And that he’ll be allowed to call home. “He’s my baby,” she said as many mom’s might say of their youngest. How’s Dominic feel about sleep away for two weeks without the parents? “I’m OK with that,” he said. For more information on Camp Hawkeye, visit camphawkeye.com.